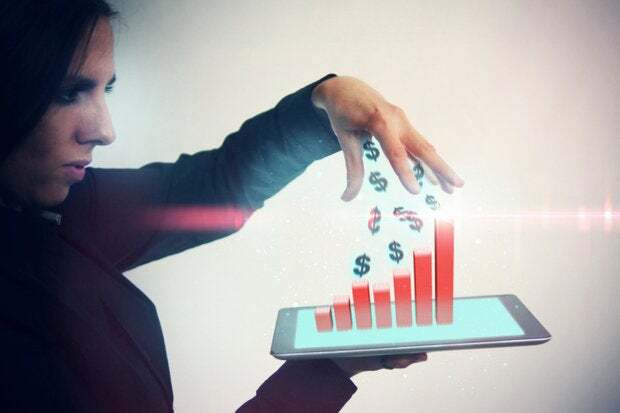 For digital transformation initiatives to succeed, IT leaders must focus on managing money -- whether they like it or not. Money, technology and change: Three critical issues that IT leaders cope with every day. To be successful, CIOs and other IT executives must focus on shifting their organizations to deploy new technologies and technology management processes. However, they must also focus on de-installing aging technologies and technology management processes. These competing requirements are nothing new. IT's perennial challenge has been to take advantage of incremental technological evolution and disruptive innovations while managing the retirement and de-installation of platforms nearing the end of their useful lives. In working with our clients, we at IDC have found that most leaders effectively manage the life cycle of incremental technology innovation but struggle with managing mature strategic platforms. However, successful organizations move purposefully to de-install older platforms; less successful ones tend to add platforms with the long-term goal of migrating to only one platform -- but then fail to de-install older systems. Disruptions and opportunities created by digital transformation are raising the stakes for enterprises worldwide -- making the change management imperative more relevant and pressing than ever. Digital transformation poses a particular challenge for IT: Core systems (ERP, on-premises computing, security, mobile, etc.) are changing while the ways IT professionals apply technology are also changing as they are being asked to support new business models, methods and practices. And all this is happening as business users exert increasing influence over budgets and technology decisions. Disruptive change: What about the money? Every successful technology executive has mastered pulling the financial levers. But virtually all IT professionals I have spoken with in the past 18 months have discussed their challenge to master new technologies while controlling and cutting spending on existing platforms. In the words of one of my New York-based clients, the challenge is "rationalizing technology spending" -- establishing formal, multiyear goals to change technology architecture, infrastructure and applications to reduce aggregate or transactional IT spending and investment. Now, to support the management of disruptive technology change, CIOs and other IT leaders must disruptively change the way they manage technology spending. What they have historically done to manage tech spending -- the nipping, the tucking and the relentless thoroughness of good cost control -- needs to be supplanted by a strategic approach to cost control. 1. Elevate your technology spending rationalization initiative so that it's one of your team's top five strategic initiatives. It shouldn't be another tactical exercise in incremental cost-cutting. 2. Devise a three-year plan and put a "high-potential" leader (not the CIO) in charge of implementing it. That individual should be empowered to act broadly. As the head of IT, you probably personally championed some of the platforms that are now candidates for decommissioning. Don't play favorites. Let the project leader know that "everything is on the table." 3. Set ambitious goals: Commit to reducing eight percent to 15 percent of expenses annually. 4. Rationalize everything: data, applications, assets, skills and facilities. Every hardware and software platform must be fair game, as should the personnel (employees and contractors) who maintain the systems. 5. Deliver a steady stream of short-term wins while strategically restructuring. 6. Face the difficult choices head-on. Ask the CEO to get involved, if necessary. 7. Abide by one overarching goal: Our future tech platform must be stronger and better. Digital transformation requires IT to rethink everything. To achieve your organization's digital transformation ambitions, you must restructure just about every element of IT -- its platforms, people and processes. Regrettably, incrementalism and inertia have become the norm tor one of those critical processes -- technology spending. Money, funding, budgets, capital, spending -- these are some of every organization's most important resources and most critical constraints. But dealing with finances isn't what technologists like to do. They'd prefer to follow their true passions and focus on managing technology, not money. The reality, however, is that in the face of digital transformation, IT is being challenged to enable change -- which requires introducing new technologies and evolving the organization's existing systems. So, like it or not, as we head into 2017, CIOs and other IT leaders must make rationalizing technology spending a strategic initiative for the entire IT team. The essential role of IT leaders is to support the business while simultaneously facilitating change -- to shepherd their organizations to new and better places, enable new technologies and empower new functionality, processes and business models. Fulfilling that mission involves managing every aspect of the IT operation -- technologies, skills and, yes, the money. Joseph Pucciarelli is a group vice president and IT executive adviser at IDC.